PHL17 and SugarHouse Casino are proud to announce this year’s 2013 SugarHouse Casino Viewers’ Choice Winners. Congratulations go out to the South Philly Vikings Fancy Brigade for their performance of “R U Game?” and Quaker City String Band for their performance of “Pow Wow.” This is the South Philly Vikings Fancy Brigade’s third Viewers’ Choice Win (2010 and 2012) and Quaker City String Band’s fourth (2008, 2009, and 2011). PHL17 is also proud to announce that the SugarHouse Casino Mummers Parade was the highest rated Mummers event in the last 8 years. In Nielsen ratings, the parade broadcast delivered an average household rating* of 8.1 (approximately 245,000 homes every quarter hour). (*One household rating equals 29,493 homes). PHL17.com was flooded with viewers outside of the Philadelphia area who watched the live stream, including fans from all 50 states and over 80 countries. The website served over 94,000 live streams to fans online, who also enjoyed photos and videos faster than ever on their computers, tablets and phones thanks to PHL17’s new device-friendly website. PHL17 would like to acknowledge Mayor Michael Nutter, and the city of Philadelphia for providing a great platform to broadcast this year’s parade. A special thanks to PHL17’s Mummers Hall of Famer, Steve Highsmith, for hosting the parade along with help from PHL17’s news partners at 6abc, including Meteorologists, Adam Joseph and David Murphy, and anchors, Sarah Bloomquist, Brian Taff and Alicia Vitarelli. 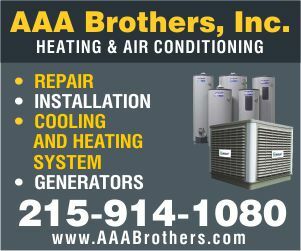 Thanks also go out to Philadelphia Phillies broadcaster, Tom McCarthy and WMMR’s, Pierre Robert for joining in the booth. 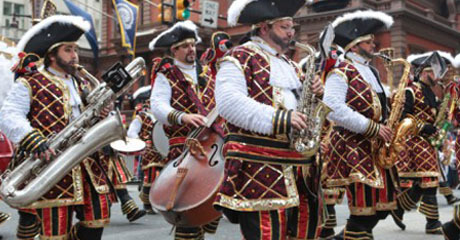 For more photos and videos of the SugarHouse Casino Mummers Parade and Fancy Brigade Finale, along with past parades, visit PHL17.com.